Featuring 150 cards. Shop for base sets on eBay. 2012-13 SP Authentic Hockey builds off the brand's longstanding legacy among puck fans, delivering plenty of autographs, memorabilia and additional content originally planned for other sets. As with past years, autographs lead the chase. Every hobby box comes three signatures, at least one of which is an autographed Future Watch rookie card numbered to 999. Traditionally, Future Watch cards rank among the player's top rookie cards. Signatures can also be found on Limited Variations, which also have Autographed Patch versions, and Sign of the Times cards that have as many as eight signatures. Other autograph sets include SP Chirography, Signature Stoppers, Immortal Inks and Marks of Distinction. 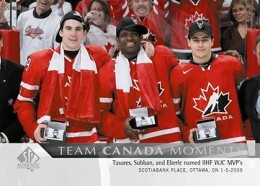 Authentic Moments and Team Canada Moments are highlighted by dated photos capturing specific moments and events. Every box has four single-player Authentic Moments cards, one multi-player card and a pair of Team Canada Moments cards. Both have autographed versions as well. Going back to the brand's early days are 1994-95 SP Retro cards, which are inserted four per box. Collectors can also look for Die-Cut Autograph cards, which fall about three per case. Thanks to the labor dispute that cut the NHL season short, Upper Deck cancelled several products when it was announced all rookies playing for the first time in 2012-13 would be held back until 2013-14 products. 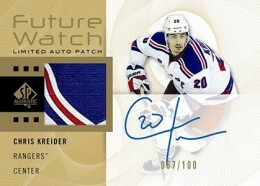 Some of that content has been included in 2012-13 SP Authentic Hockey. Upper Deck Update, cards originally planned for Upper Deck Series 2, fall 1:6 packs (four per box). At least two UD Exclusives parallels are in every case. 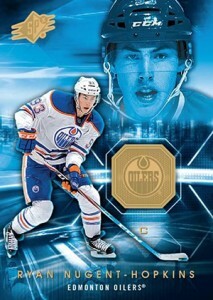 MVP Rookie Updates (1:15 packs) have also been brought over to 2012-13 SP Authentic Hockey, with one or two in every box. While 2012-13 SPx Hockey was also cancelled as a full-fledged, bonus SPx packs found their way into 2012-13 SP Authentic Hockey. Exery third box of 2012-13 SP Authentic Hockey has an SPx bonus pack. Each has two SPx base cards and an autographed rookie jersey (#/275 or #/175) or an autographed rookie patch card numbered to 30. 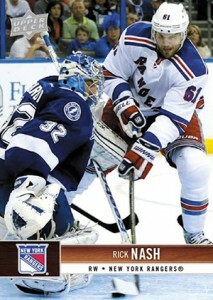 The 2012-13 SP Authentic Hockey base set has 150 cards. 2012-13 SP AUTHENTIC FUTURE WATCH MAXIME SAUVE RC AUTO 2 COLOR PATCH 028 100!! overall i really like everything about this product with the exception no currant rc’s. nice auto patches and my 2 dual autos are just the best you can get, orr/gretzky price/subban. overall sweet product. looking forward to next years. Very mediocre product. Cards lack pop. The limited auto set is not numbered despite the worst autos falling 1:325 packs. Most of my base in the packs were already in order, meaning when I opened a pack cards 45, 46 and 47 were in perfect order. I received more than the ratio of autographs, pulling four, but again, Upper Deck includes too many no-name players. Milan Michalek should not be in the set. Louis LeBlanc, although a Team Canada player, is a career minor leaguer and shouldn’t be in the set. I paid $111, and got about $10 worth of movable product. Extremely disappointing. I am learning that the only way to get ahead is to buy high-end product. If I could have given half a star, I would have. It is that poor. This was a huge miss on Upper Deck’s part. As the same with all years SPA, if you hit something good you get paid. Although lacking a great crop of rookie hype, there is time for them to come around.Upper Deck makes up for it with tons of Auto content,the authentic moments autos will be extremely sought after,as goes to show I sold a dual auto for $900.00 within hours of pulling it. average product, however the on card auto’s look SICK..there is far too much base in a hobby box those ..it seems that any hit that isn’t an auto is kinda just worthless…at least the base cards look great as usual…i’d recommend this product to a collector just getting started. SPA is my favorite hockey set. I bought a box this past Friday for $110 and the box states “3 autos including 1 Future Watch auto per box on average”, well I must have hit a “hot box” because not only did Iget a bonus SPx pack with a quad patch rookie auto #/175 but i pulled a SP Chirography Auto #/35 and FOUR Future Watch rookie autos #/999! That’s SIX #’d autos (5 rookies) in one SPA box. I’m happy. I bought one of these boxes the other day and not only did I get the BONUS SPx Pack, but I also got 9 Autographs. 4 Future Watch cards, 3 Sign of Times, 1 Retro Die cut and in the bonus pack I got a Chet Pickard Jersey card Auto # 5/25. I lucked out on my box, best card I got was the SPx. Really enjoyed opening packs of this set. Lots of inserts and nice looking autographs. I really enjoyed the die cut autographs and authentic moments/team Canada gold autos. The base set seamed really easy to get. I pulled the bobby Orr authentic moments “the goal” gold auto. Anyone know how rate it really is? I realize it says 1:1,755 packs but I have been checking all over the internet (ebay, amazon, google) since I pulled it last years and I still have not seen another one. Any information would be appreciated, thank you ! Sign of the Times on card autograph set has returned to this year’s SP Authentic. This year the design has a golden background that makes it look more classed up than usual. Not only is the design fantastic, but the checklist is simply amazing, especially with the Team Canada autos. The best SOTT set that SPA has ever done. It also helps that the cards from groups A and B are much more scarce than the usual volume because of the labor dispute.